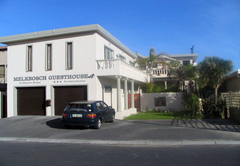 Melkbosch Guesthouse is a highly recommended guest house with self catering option, providing accommodation in Melkbosstrand for tourists visiting the Blaauwberg region. 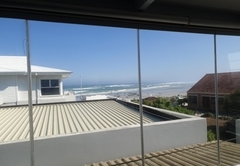 The Melkbosch Guesthouse is situated in the coastal village of Melkbosstrand, a beautiful seaside village on the north-western fringe of the Cape Town Metropolis. It is well known for its tranquility, wide white beach, water-sports and west-coast hospitality. It is an easy getaway from the hustle and bustle of the city. 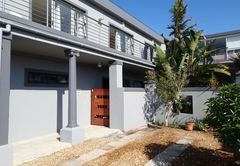 Situated within sight and sound of the ocean (just one street from the beach! 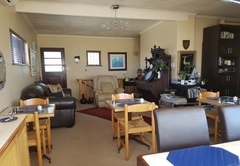 ), approximately 20 minutes from the Cape Town city center and 35 minutes from Cape Town International Airport the Melkbosch Guesthouse is for those who like to get out of the city but not too far from their business. Our upstairs rooms are sunny and north facing all with en-suite bathrooms. 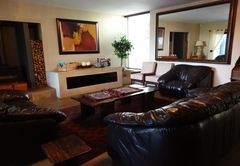 Available in each room is a fully stocked mini bar, coffee and tea-making facilities, remote controlled TV with DSTV (Digital Satilite TV) and a writing bureau. 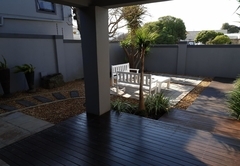 All the rooms have a private entrance and most lead onto the balcony by means of a sliding door overlooking the private enclosed garden and barbeque area. Free wifi internet access is available throughout the building. 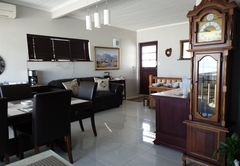 The two self catering units (with en-suite bathrooms) are found on the ground floor. 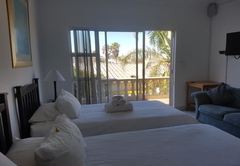 Available in each unit is a fully stocked mini bar, kitchenette, remote controlled TV with DSTV and a writing bureau.These units have seperate entrances leading into the enclosed tropical garden and barbeque area which is open for guests use. Excellent surfing and fishing spots all along this pristine stretch of beach along with the quaint restaurants and coffee shops dotted all around the area are definitely very rejuvenating to the soul!! Tuck into great seafood meals at local beachfront restaurants or quench your thirst with a yummy cocktail or two at sunset! 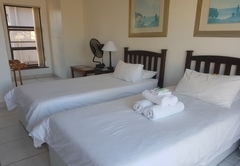 Room with with queen bed, 1 single bed, 1 pull out single bed, bathroom with shower and toilet. Kettle, Fridge, Mini-bar, DSTV, Free Wifi, fan, Work table. Room with double bed, bathroom with shower and toilet. 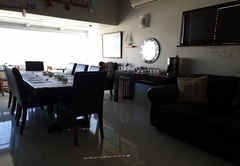 Equipped kitchenette, Fridge, Mini-bar, DSTV, Free Wifi, Work table. Room with double bed, bathroom with shower and toilet. Fridge, Mini-bar, DSTV, Free Wi-Fi, Work table. 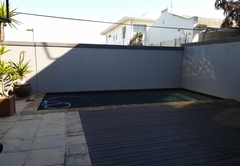 Braai facilities and swimming pool available. Very good value for money. A home from home with lovely rooms and service. Thank you! I had a wonderful stay, the best breakfast and the rooms just great. See you soon. Response timeMelkbosch Guesthouse typically responds to requests in 5-10 minutes.